2019 S5 spare tire / jack kit question!? So I just picked up our car yesterday,3/23/2019. It has the all weather mats. Not liking how the jack kit is in the trunk fastened to the tie down hooks. It makes the trunk mat lay very awkward. Anyone else feel the same way , and what did you do. For now I just took the jack kit out of the car all together. Thinking probably cut out the mat for the tie down points and reinstall jack kit so mat lays completely flat. Why not with the spare tire and battery? ... Why not with the spare tire and battery? 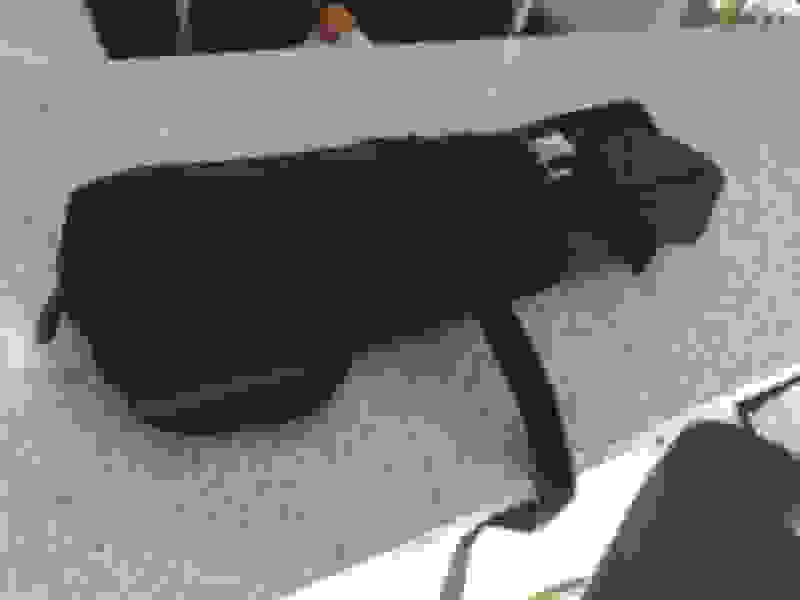 There are a few other threads which talk about the jack being in a bag now instead of under the floor. 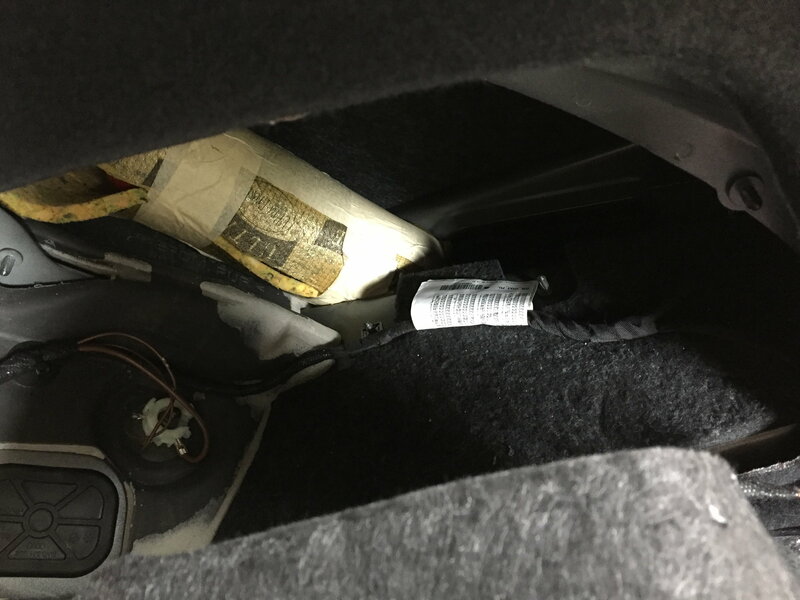 There was space under the trunk floor for the jack in 2018 but it seems that some new feature(s) in 2019 (I think the wireless car charger thing) took up some space for its hardware and left no space left for the jack basically. Last edited by heymoe; 03-24-2019 at 07:22 AM. I would have to agree with all the 2019 SB buyers that the jack sitting in the trunk is pretty bad! I wonder if the Coupé and Cabriolet have the same issue. While certainly not a deal breaker for me, it would leave a bad taste in my mouth. I had the exact same question and the only thing i dont really like about my s5 sb. Basically i just cut out the terhering points out of the weather mats and tied it down to the metal tether points. I tried everything i could to fit it with the spare but it wont fit. I thought about maube trying to stuff it in the deep compartment to the left of the steering wheel but then i wouldnt have anywhere to put my radar detector stuff. Id still like to have it in the car just in case i do get a flat somewhere and dont wanna call and wait for road side service. Definitely cut out the tie down points in the all-weather cargo mat so it rests flat on the floor of the trunk. Okay, so at least I know I’m not the only one, I took the spare tire out as well to give it a good look. I guess I will cut the all weather mat. Has anyone tried stashing that in the wing space to the right of the trunk? I checked behind the bay with the elastic netting and found space for stuff that is rarely needed but I want to have with me - fire extinguisher/jumper leads etc. I wrapped them in foam to prevent rattles/movement. The only downside I could see is that it might interfere with the flow through ventilation so I tried to ensure there was air-flow space between the vent to the boot and the vent to outside. The photo orientation is probably not obvious, but, hopefully, it's not too hard to see where I mean. Last edited by Tony M; 03-24-2019 at 03:57 PM. I was able to fit the jack on the left side of the spare. I took the jack out of the bag and put the bag with the handle on the right side. If you are concerned about noise or damage to anything you can put sound deadening material under it like I did. That looks like a good solution to me, so long as it doesn't rattle. 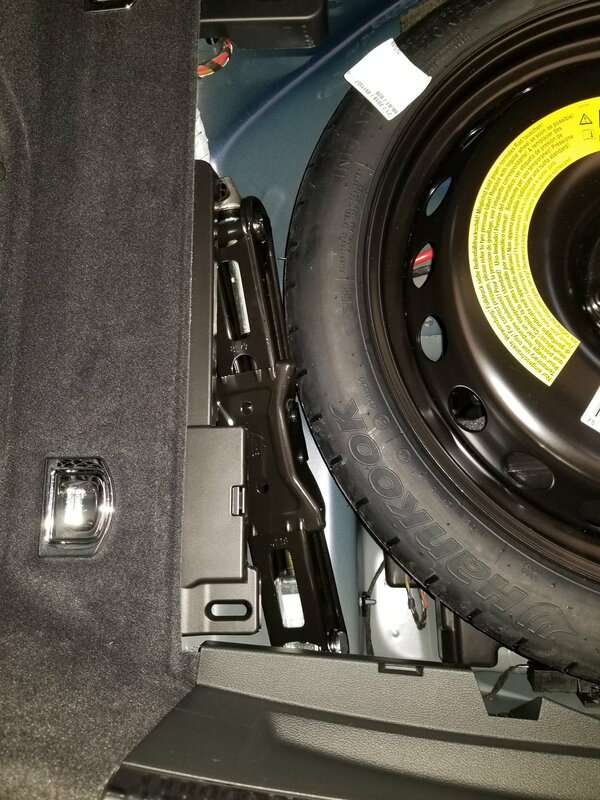 The weird thing is, my wife currently has a loaner 2019 A5 SB (not sure what trim level) and it had the jack in the correct spot in front of the spare tire. The car does appear to have the Audi phone box so that may not be the reason for the misplaced jack as some have guessed. Quick Reply: 2019 S5 spare tire / jack kit question! ?